Yep, making crackers, because they are easy, and fast, and taste so much better fresh from the oven and I know what’s in them. And they happen to be vegan. Mix all ingredients together (by hand with a fork or with a kitchen robot – you might want to double or triple the recipe in the later case). Knead a couple times by hand to form a nice smooth dough. Form a ball, wrap in plastic wrap, and stick in the fridge for at least an hour, up to a day. Let dough come to room temperature for 10-15 minutes. Meanwhile, preheat oven to 180°C & line 1 baking tray with baking paper. Roll the dough about 3mm thin (this is easier between cling film or silicon baking mats). Prick all over with a fork. 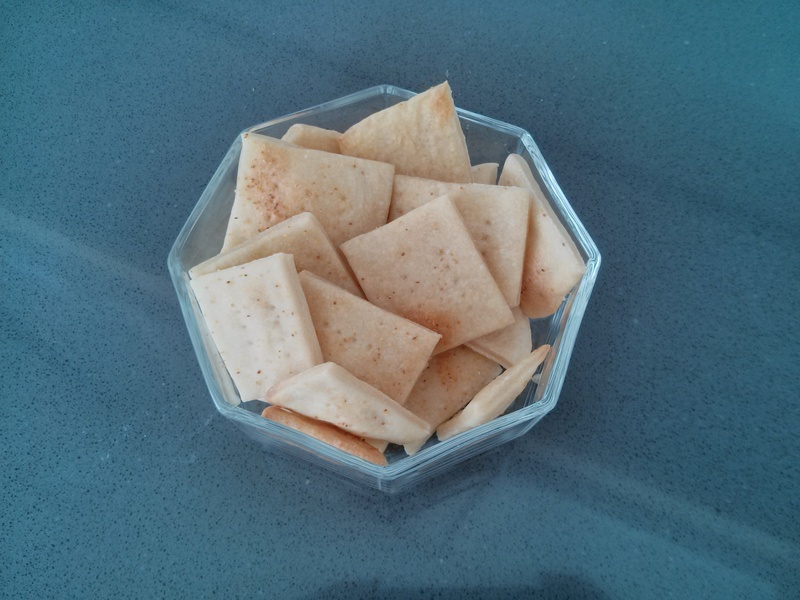 Using a knife or a pizza cutter, cut into squares about 5cm in side. Brush with water & sprinkle with some sea salt / dried herbs of your choice (sprinkling optional). Move to lined baking trays. Let cool on a rack slightly before tucking it, lest you burn your mouth!